Wow. It has been a hot minute since I last wrote a movie review for Wookie. Kids’ll do that to you! It’s hard enough being able to do things like take a shower or eat just one meal completely uninterrupted when you have two babies under the age 4 so getting to see a MOVIE in its entirety BY MYSELF….well, that was just pure bliss for a few hours. So, naturally, I decided to pick something that would make me laugh, cry, UGLY CRY and laugh some more in under 2 hours. Enter a KOREAN MOVIE!!! Having seen enough Kdramas and movies, I should’ve known I needed to strap myself in and buckle my emotional harness because Korean movies and dramas always put me through the wringer. “I Can Speak” is no exception. Actually, I take it back. It is exceptional in the sense that it’s based off of something that actually occurred in the not too distant past. This is the story of a Comfort Woman. Ok Boon, aka the “Goblin Granny”, is a feisty, elderly woman who combs through the town for any sign of trouble. Over a span of 20 years, she has filed 8000 complaints to the district office. 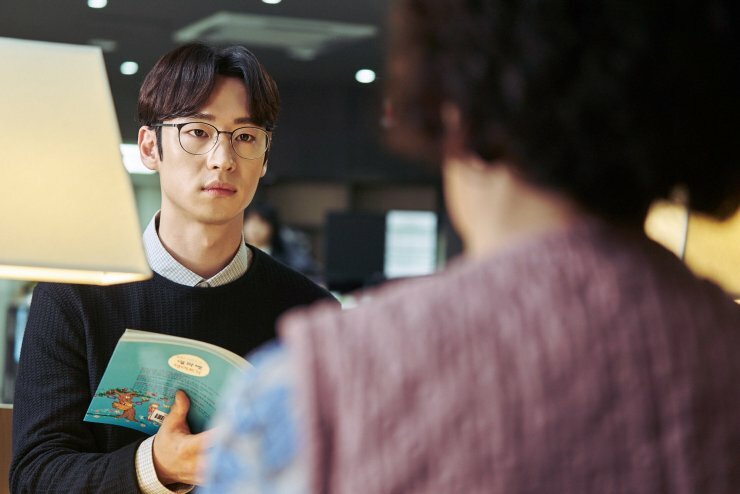 When Park Min Jae, a stickler Level 9 civil official, transfers over and asks the unstoppable granny, according to procedure, to take a number for her complaints, great tensions arise. One day, Ok Boon witnesses Min Jae speaking English like a native speaker. After studying English for many years, she is disheartened by her lack of progress. She is determined to improve her English and beg Min Jae to teach her. After many hurdles and eye opening realizations, the unlikely duo with absolutely nothing in common begin their lessons and a friendship forms. As they spend more time together, they start to understand one another and become close like family. 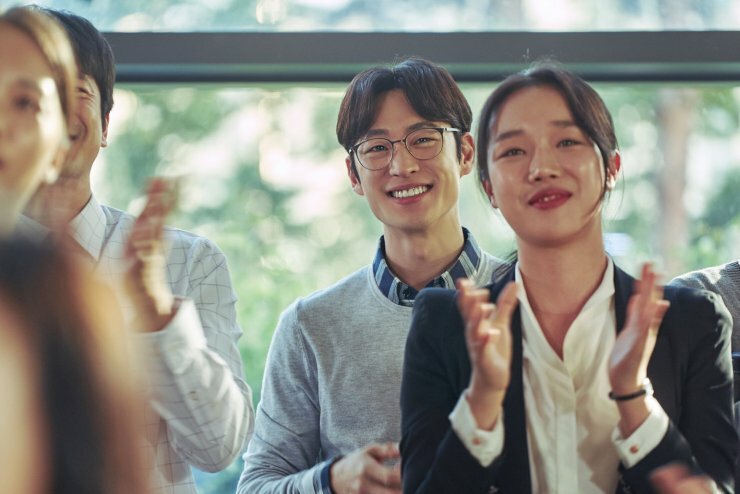 Having always wondered why Ok Boon is so determined to learn English, Min Jae later learns that there is something she must say to the world and the world must hear her. Wanna see the trailer? I couldn’t find one that’s subtitled. Sorry, guys. The movie starts off extremely lighthearted and is super funny. I fell in love with Goblin Granny right away….probably because I’m going to end up being just like her. Complaining about everything. Staking out the bad guys. A stickler for (most) rules. A huge softie at heart with a spine made of tempered steel. 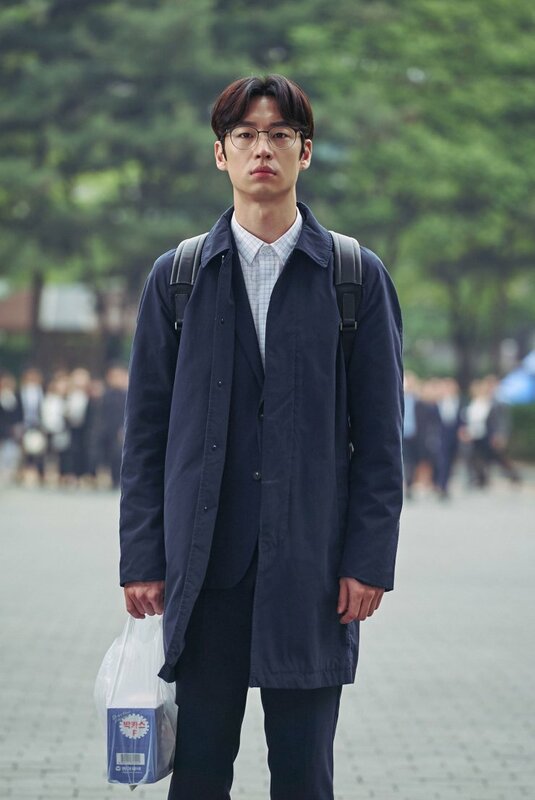 Park Min Jae is a hottie. I mean, he’s just too cute. I loved this character. Seeing him go from being a stick in the mud to a total heart throb, I mean, a totally caring guy…it just makes me hope that my daughter marries someone just like him if and when she wants to get married. They’re both stubborn and it’s pretty apparent early on in the movie that they’re also used to getting their way. Goblin Granny by essentially bulldozing everyone in her path and filing complaint after complaint after complaint (I swear to God, she’s MEEEEEE when I’m grandma status) and Park Min Jae by doing everything by the book. When they meet, it’s clear that they’ve met their match in the other person. The beauty in this movie is its balance of humor but also how it handles the horror that was, and is, the life of a Comfort Woman. I don’t know if it’s because I have a daughter but the scene when Ok Boon is just a thirteen year old child trying to run away from the Japanese soldiers….and the scene in the present when she visits her mother’s grave still crying out for the comfort her mother never gave her…My heart ached and I cried. I cried because they were just girls. I cried because of what they endured. I cried because of what they must still live with. I cried because this is not fiction. I don’t want to give away too much of the movie but there’s something that really stuck with me. I can’t remember how the line is verbatim but Granny Ok Boon said something along the lines of “If I forget, then I am losing”. The Holocaust. Slavery. Enslaving women and calling them “comfort women”. If we forget, then we have lost. We must always remember. Always. Go see this movie. Be part of the chain of human memory because we cannot afford to let this be forgotten lest it happen again to our daughters. Go see this movie….and make sure you bring some tissues with you. 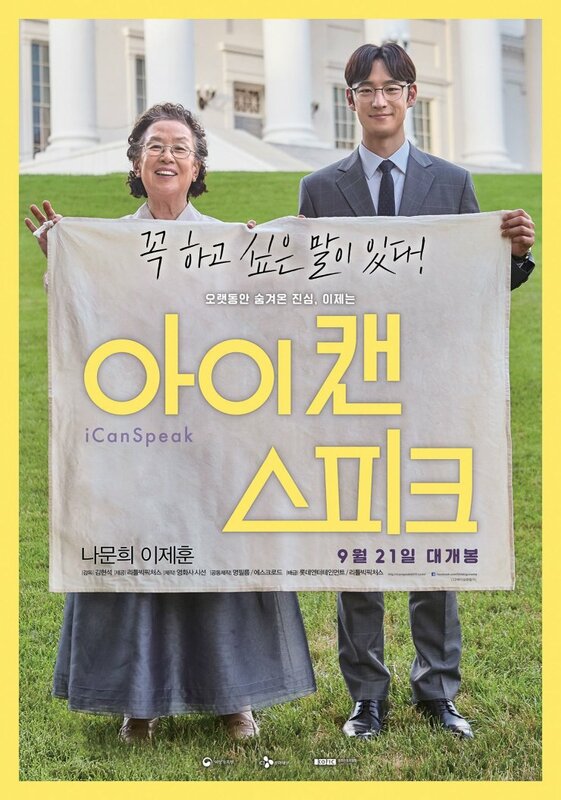 I Can Speak is a 2017 South Korean film directed by Kim Hyun-seok, starring Na Moon-hee and Lee Je-hoon. The film was originally released on September 21, 2017.